Two recently released movies (one on cable and another on the big screen) attempt to give viewers a behind the scenes glimpse of Alfred Hitchcock! While we can never gauge the accuracy of biography films, they do share some similarities. So how do these two stack up against each other in deconstructing The Master of Suspense? HITCHCOCK: Based on the Book Alfred Hitchcock and the Making of Psycho by Stephen Rebello. THE GIRL: Based on the book, Spellbound by Beauty: Alfred Hitchcock & His Leading Ladies by Donald Spoto. HITCHCOCK: Portrayed convincingly by Anthony Hopkins (thank GOD since his portrayal of Richard Nixon was scarier than his Hannibal Lecter). THE GIRL: Alfred Hitchcock portrayed convincingly by Toby Jones. 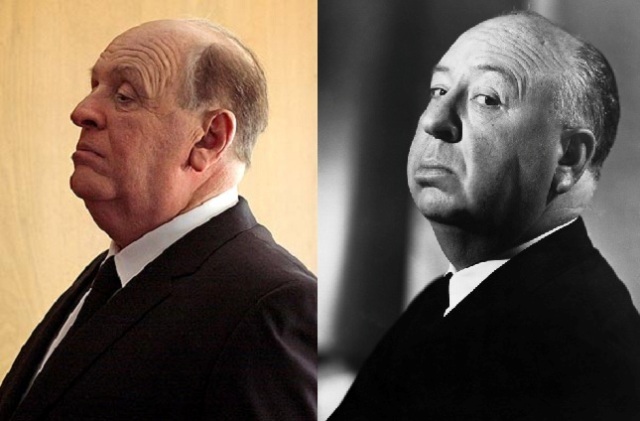 HITCHCOCK: Focuses on Alfred Hitchcock during the filming of Psycho and his functional but strained relationship with his wife, Alma (Helen Mirren). THE GIRL: Focuses on Alfred Hitchcock during the filming of The Birds and Marnie and his dysfunctional relationship with Tippi Hedren. HITCHCOCK: Hitchcock is obsessed with filming Psycho despite Alma’s trepidation and Paramount refusing to finance it. THE GIRL: Hitchcock is obsessed with Tippi Hedren despite Alma’s trepidation and mounting refusals from Hedren. THE GIRL: Hitchcock shares a room with Alma featuring twin beds but seems to view Alma more as a “sister” than romantic partner. HITCHCOCK:Hitchcock insecure about his weight and, when insecure, goes on night time eating binges. THE GIRL: Portrays Hitchcock as insecure about his weight and, when insecure, turns to alcohol. While under the influence, he confesses that he’d be willing to trade in all of his success & talent to be young and attractive to women…and he also drunk-dials! HITCHCOCK:Shows Hitchcock as passive/aggressive and taking out his frustrations while assaulting Janet Leigh during the shower scene in Psycho. THE GIRL:Shows Hitchcock as passive/aggressive and redefining “bird bath” as he assaults Tippi Hedren with a shower of live fowl during filming of The Birds. HITCHCOCK: Hitchcock controlling and deviant…but keeps his hands to himself. THE GIRL: Shows Hitchcock physically attacking Hedren in the back seat of his car en route to a film location. THE GIRL: Suggests Hitchcock saw Tippi Hedren as his second chance (after Vera Miles) at molding an unknown actress and, when this also backfires, becomes forlorn about being abandoned. HITCHCOCK:Had a professional and positive work relationship with Janet Leigh. THE GIRL: Suggests that the reason Tippi Hedren had more problems with Hitchcock than other actresses was because she was thicker skinned and seemed to take “everything he throws at her” (I’m thinking her lack of star power sure didn’t help). HITCHCOCK: Hitchcock likes to shock people with pictures of real-life crime photos. HITCHCOCK: Shows Alma, tired of “Hitch” obsessing over his starlets, contemplating an affair. 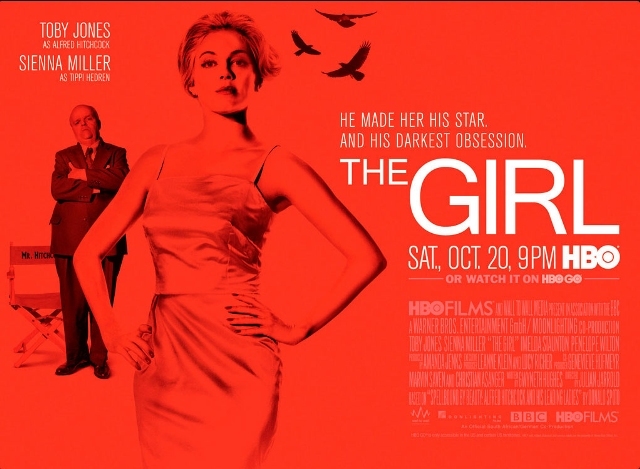 THE GIRL: Shows Alma, tired of “Hitch’s” blatant obsession with Hedren, leaving him for a time. HITCHCOCK: Gentlemen prefer blondes…and so did Hitchcock! THE GIRL: Even Hedren dying her hair a darker color does nothing to douse his obsessions. HITCHCOCK: Concedes that despite everything, he’s nothing without Alma. THE GIRL: Concedes that despite everything, he’s nothing without Alma. THE VERDICT: They’re both entertaining but I’d wager that Hitchcock is more accurate while The Girl opts for sensationalism. 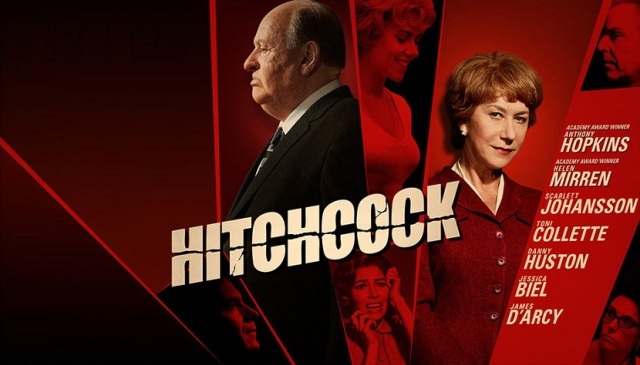 Hitchcock is a better film overall but does beg the question…what man would want to stray if their wife looked like Helen Mirren??? This entry was posted in Movie Reviews and tagged Alfred Hitchcock, Alm Hitchcock, Anthony Hopkins, Helen Mirren, Janet Leigh, MARNIE, Psycho, The Birds, Tipp Hedren, Toby Jones, VERTIGO. Bookmark the permalink. ← “Tooth And Claw” – New Movie Guide to Man Vs. Nature Films!